Fanatics was founded in 1995 by brothers Mitch and Alan Trager, who first opened a retail store in Jacksonville. The company is a leading online retailer of officially licensed sports apparel and merchandise. They have relationships with over one thousand vendors including top brands like Adidas, Majestic, New Era, Under Armour, Reebok, Nike and more. What once was a brick and mortar store selling Jacksonville Jaguars apparel has now transformed into an e-commerce giant. Find merchandise for major sports leagues like the NHL, MLB, NFL, PGA, UFC, and Nascar. They now carry and distribute merchandise for over 150 college and professional teams as well as vintage apparel. Find apparel and gear for the Olympics, World Cup, UFC, and WNBA. Check the autographed and collectibles section for authentic merchandise for your favorite player or team. These items make great gifts for loyal fans. The easy-to-use website makes searching for team gear, apparel, or merchandise effortless. Find your favorite team easily and browse thousands of high-quality items at fantastic prices. If you are a sports fan, you know jerseys and hats require proper sizes to fit properly. Use the sizing chart on their site to find out exactly what size you need. If you are a regular shopper, download the iOS or Android app to get free shipping on all orders. You will also receive exclusive deals and offers through the app. 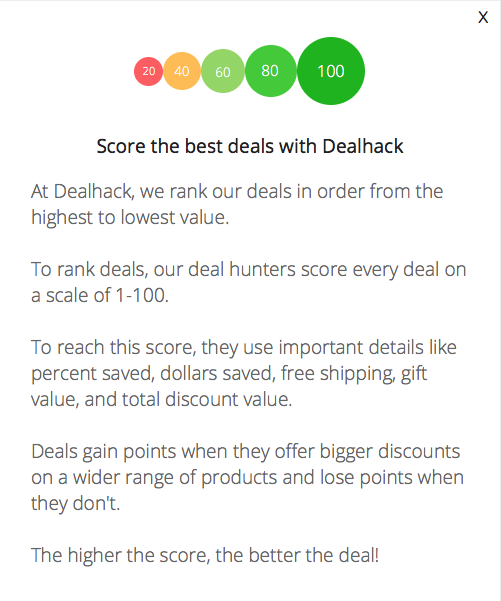 The Dealhack team is always adding the latest offers to this page for free shipping and coupon codes to help you save. Check here first before your next purchase to view all of the latest Fanatics offers. For any order inquiries or product questions, submit a ticket online to the Fanatics support team or chat live on their site. Furthermore, follow their social media profiles on Facebook, Twitter, and Pinterest for new items, exclusive apparel, and seasonal offers. Purchase a gift card ranging from $10-$100 online for the sports lover in your life. For large or bulk orders, contact Fanatics as you can usually qualify for a 10% volume discount. Fanatics relies on their awesome customer service team to ensure your shopping experience is exactly what you’re looking for. If you are not completely satisfied, they will correct the situation as well as add a $10 Fan Cash credit to your account. What is Today’s Best Fanatics Promo Code? The best Fanatics promo code right now is 24SHIP. This code is for 'Free Shipping on $24+ order'. Copy it and enter it on the Fanatics checkout page to use it. Fanatics offers flat rate shipping for all orders in the Continental U.S. for just $4.99. Next business day and express shipping options are available. Download their app for your smartphone to receive free shipping on all orders. If you are unsatisfied with your purchase, return any unwanted items for a full refund within 365 days. All returned items must be in original condition.